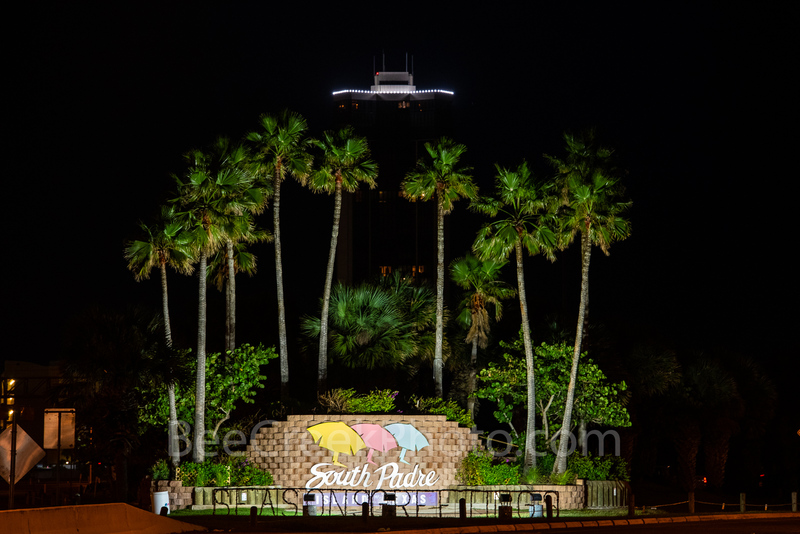 South Padre Island Entrance - South Padre Island entrance surrounding by palm trees after dark. This barrier island is about six miles long and includes about 2.5 square miles for the town of South Padre Island. The population is under 3,000 inhabitants but can change with people and tourist who will winter in the area. Many travel to this area for the subtropical weather here and it is a favorite with the young crowds during spring break. Photo © copyright by Bee Creek Photography - Tod Grubbs / Cynthia Hestand.